Palm trees are a great way to give your yard an exotic feel. They come in a variety of shapes and sizes, so the perfect tree to match your landscape is out there. 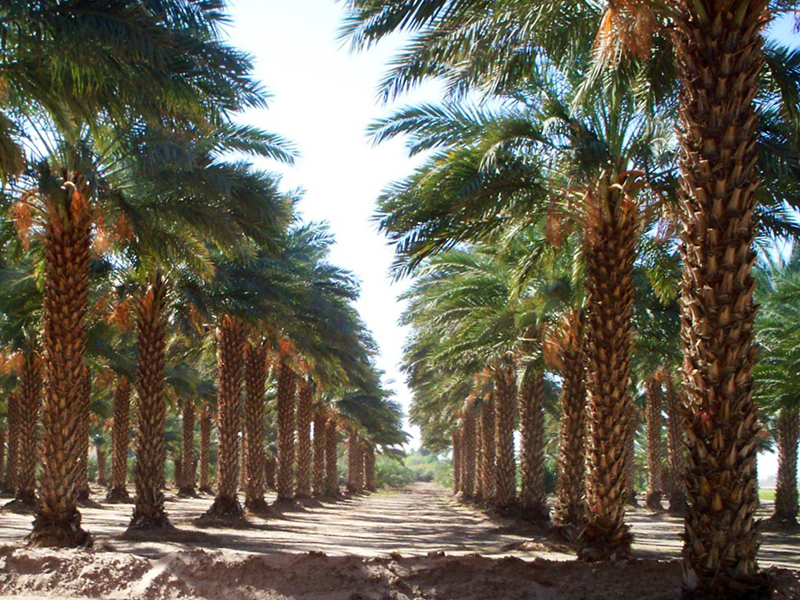 Here are a few tips for helping you find the perfect palm and to get it planted in your yard. The fact is that California weather is just about perfect for every kind of palm tree. West Cast Trees sells 37 varieties of palm tree so you can create the exact look and feel that you want your yard to have. For informational purposes, areas with cooler winters (20 degrees Fahrenheit and under) will want to stick to heartier palms such as Cycas revoluta (sago palm) or Chamaerops humilis (fan palm). Once you know the species of palm you want, it makes it easier to select a location. You’ll need to leave plenty of room to grow for Washingtonia robusta which reaches heights of over 80 feet. You also need to consider the particular amount of sun exposure that the species you select requires. Don’t worry; our experienced sales staff can help you determine the right amount of sun. Then you just need to keep an eye on your yard to see where the sun hits in the morning, afternoon, and evening. Remember that the hole you plant a tree in will determine how well it does. Put a hundred dollar tree in a five dollar hole, and you’ll end up with a five dollar tree. Make sure the hole is dug large enough, at least twice as wide as the root ball, and blend the native soil with a top soil specifically designed for palm trees. Better yet, let the pros at West Coast Trees take care of everything for you. We can help you select the right trees for your landscape, the best location for future growth and care, and plant them for you so you know it gets done right.